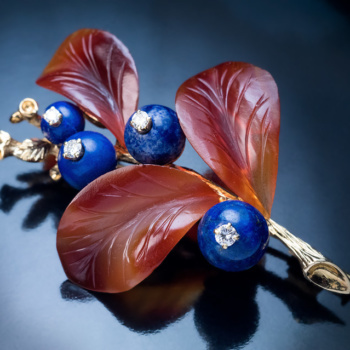 Made in Vienna, Austria, in the 1950s. 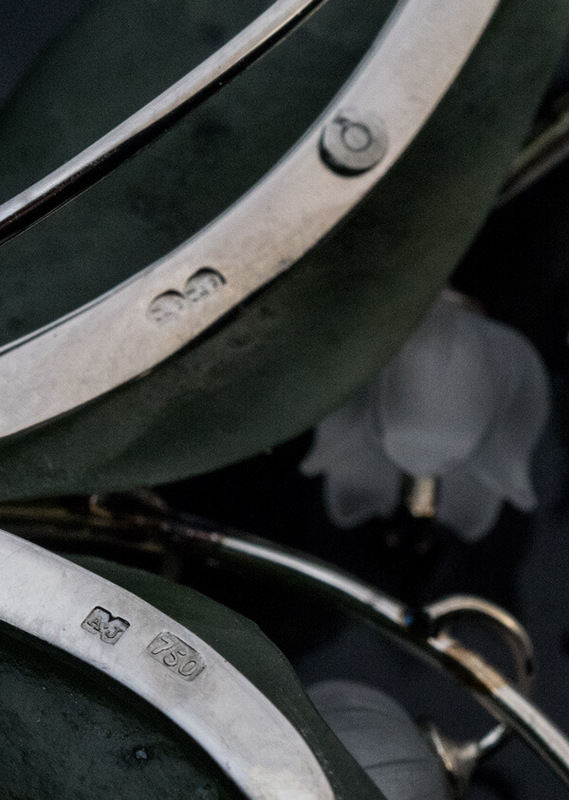 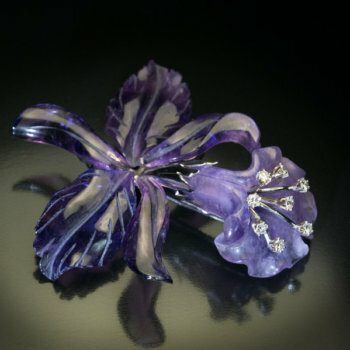 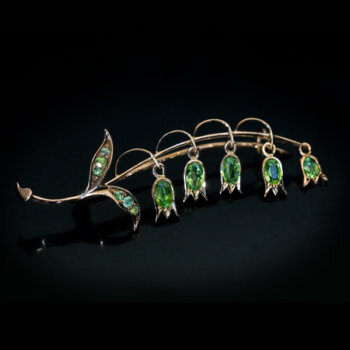 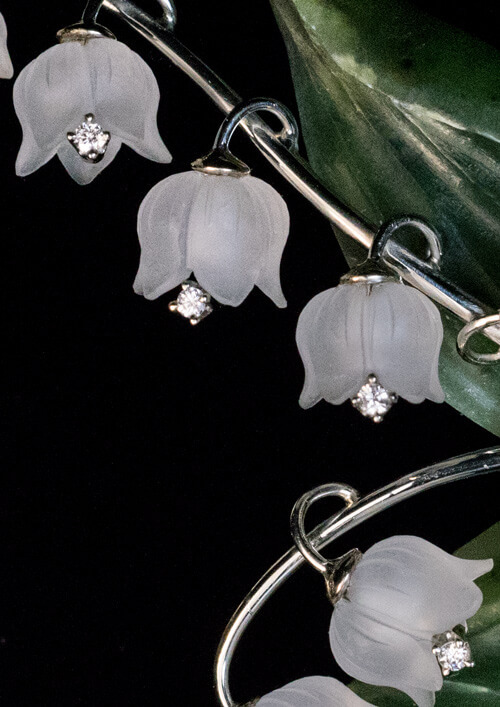 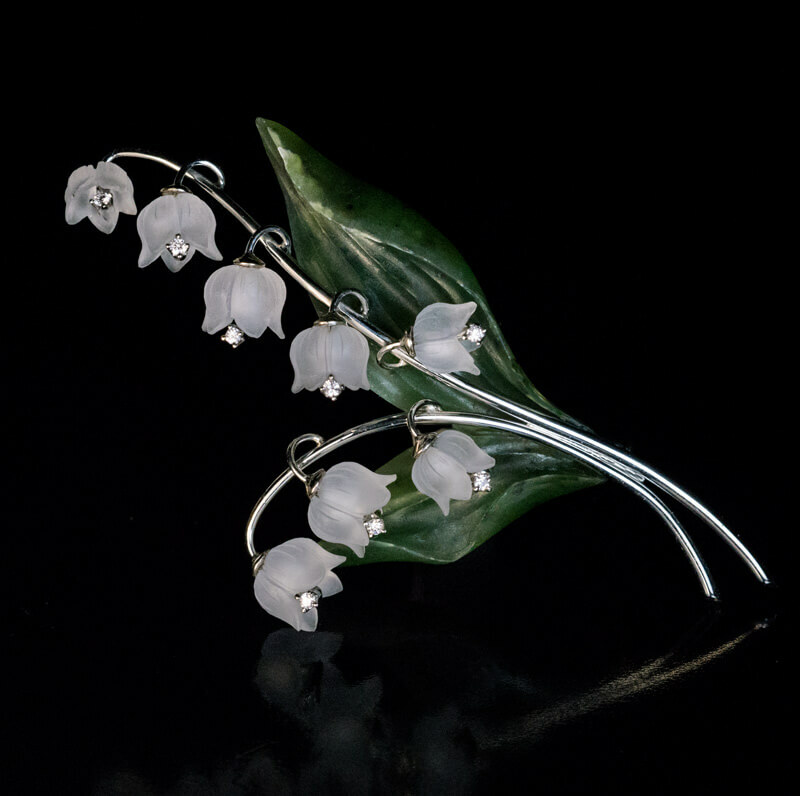 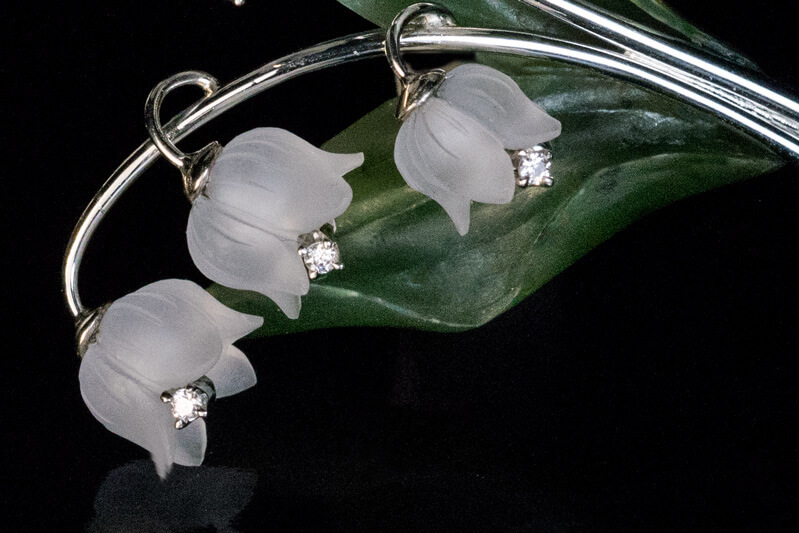 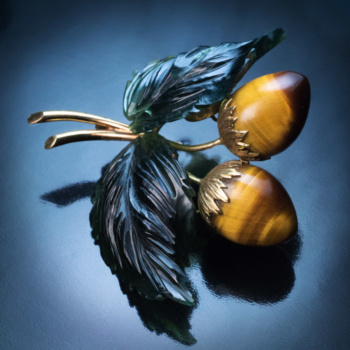 The flowers of this vintage lily of the valley brooch are finely carved from rock crystal. 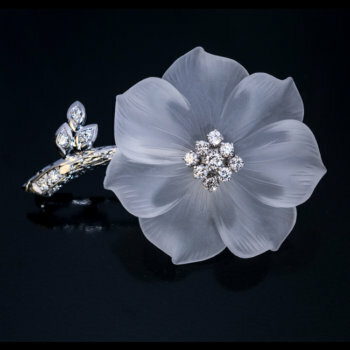 Each flower is embellished with a diamond. 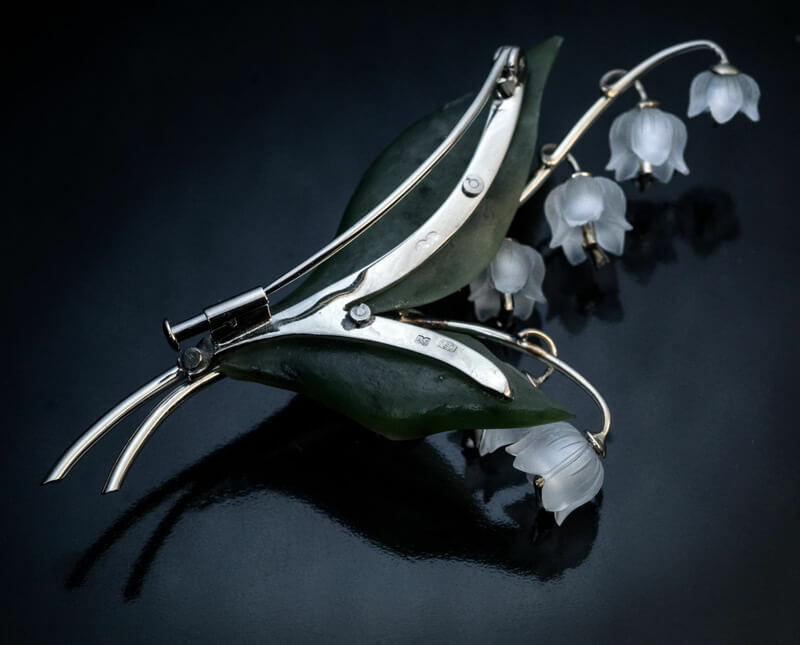 The leaves are carved from dark green nephrite jade. 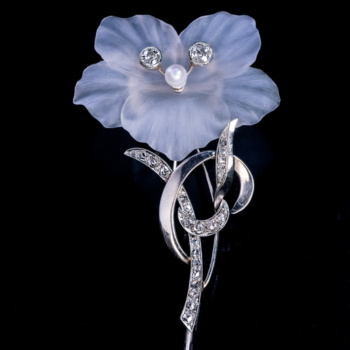 The brooch is mounted in white 18K gold and marked with two elephant head Vienna assay marks, 750 gold standard (18K), and maker’s initials ‘AJ’.